Hello, I'm Gregor and I put this site together. At first, you'll find an overview of recommended digital tv converters, followed by a public poll and a general buying guide on digital tv converter. 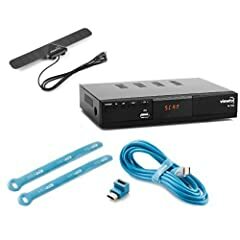 Further down on this page, we do link to other well-written articles and reviews about digital tv converters. At last, you'll be able to weight in your own opinion in the comments section. If you also want to vote on the best digital tv converter, click here to view the poll. What is a Digital TV Converter Box? 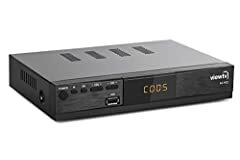 A digital TV Converter is a box needed when you have an older model television and want access to local stations without paying the high and never-ending increasing price of cable. The box’s main function is to convert the digital signals of your local television stations to analog format. Converter boxes now come with additional capabilities and depending on what you need, and it may be worth the extra money to buy a converter with additional capabilities. Do you need a Digital TV Converter Box? If you have a newer Smart TV than you won’t need a Digital Converter. If you, however, have an older analog television you will need a converter to hook up the Digital Converter to the antennae’s to convert the digital signal to analog to get the local stations. If you have a Digital TV, you most likely will not need a converter box because it will come with the TV, merely hook up the antennae. You will pay based on your need and the quality you’re looking for. Digital TV Converters range in price from as inexpensive as $5 dollars to prices in the several hundreds. It all depends on what you need, most of us out there will be able to get a good digital converter for around 40 to 50 dollars. 1.Digital Stream Analog Pass-through DTV Converter Box You can find this model at most online and physical stores. It’s a great price considering all the features it comes with. It has an on-screen electronic program guide, it supports closed captioning, it comes with Parental Control Functions, you can create a favorite channel list, auto-tuning, you can display your menu in English and Spanish, capable of receiving MPEG-2 and MPEG-4 and HDTV Channels, high-quality composite video, L/R/ audio output and comes with a Universal Remote. 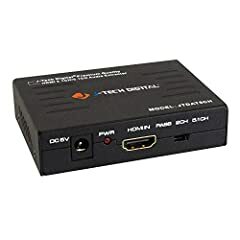 It is also ATSC compliant and delivers Dolby signals over an HDMI connection. That’s all its fancy features but if you’re nor particularly tech-savvy those features don’t mean a whole lot to you, so let’s break down what you, the consumer need to know: When setting up this converter box, it should be a breeze. The instructions are fairly simple and easy to understand. 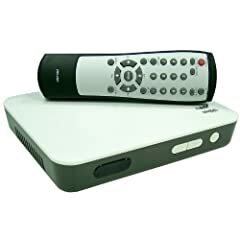 It picks up major networks and can pick up some HD channels as well. A great feature on this box is the Update Channel feature. It saves all the channels you’ve visited so it won’t need to rescan every time you change the channel. Lastly, it’s dependable, which is a quality we’re looking for in every item we purchase. We want to make sure that whatever we work in all situations, including inclement weather. This converter will keep a stable signal during a storm. If you can’t receive a weak signal, the converter won’t display it at all but will warn you about it. 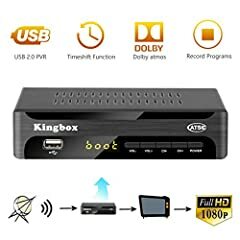 This converter box is compatible with analog and digital display; you can hook it to your television, projector, HD TV, TUBE TV, or LED. You can watch Real-time and Programmed time recording. You can pause, fast-forward and rewind live TV. You can also record live programming with the electronic programming guide. This converter comes with a built-in USB port that allows you to record with your flash drive or external drive. With the USB drive, you are multimedia playback capabilities with images and or play your music, movies form a USB device. It also includes an emergency alert system. This comes with closed captioning and auto and manual scanning. 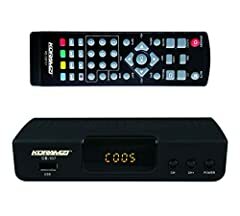 When you purchase this Digital Converter, you get 1 digital converter box, remote control, 2 AA batteries, composite cables, 1 HDMI cable, DC adapter, and instruction manual. You’ll want to hook this converter up to the antennas that came with your television, and you’ll have access to local networks like ABC, CBS, FOX, NBC and more, which will be free. For the price of this converter, you are getting great capabilities. Just consider on your box analog TV you with this converter you’ll be able to pause, fast-forward and rewind live TV, which is not too shabby. You can connect other devices to it, and records shows through a USB device. That’s pretty awesome. You can also connect devices that provide shows via the internet on this device. Something that is very important in this day and age is Parental Control capabilities, which this converter has. 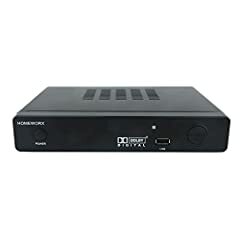 All in all for the price, the 1byone 212NA-0001 Digital Converter Box is a great choice. 3.eXuby DCB-MCRF converter and RF + RCA cable You can find this converter for a fairly decent price. It’s compatible with most devices; you can connect it to your HDTV, Tube TV, LCD, LED and projector. The number of channels it receives depends on the antenna strength. It has multiple outputs: HDMI, component coaxial and RCA. 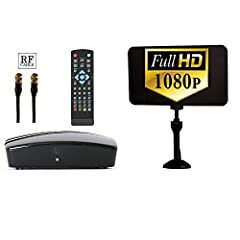 This will provide you with a great quality picture at 1080P full HD resolution; you can also adjust it to the resolution you prefer: 1080p, 1080i, 720p or 576p. Like the 1byone 212NA-0001 Digital Converter Box, the eXuby DCB-MCRF converter and RF + RCA cable has recording capabilities with the use of an external storage drive, i.e. : USB Flash Drive. This device allows you to plug into it to watch movies, listen to music and even view your pictures. The eXuby DCB-MCRF converter and RF + RCA cable also comes with an option for Parental Control, where if you have children you’ll be able to tailor the shows and channels they have access to. This converter also has a great customer service line if you have any questions about how to program or are having any concerns about the device the customer service line is there to be of service. This item is pretty easy to set up overall but make sure you read the manual before you begin to ensure it goes smoothly. These are my top three picks if you are looking for a basic converter that will connect to all of your devices and are reasonably priced. New: Our editorial list of additional articles. 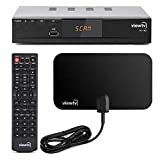 We decided to gather informartion all around the internet and present you a list of helpful, external links to interesting reads about the best digital tv converters and their reviews and guides. You're not convinced by the previous writings about digital tv converters? Of course you can just choose by visual impression, that's why we present you all our chosen products at a single glance. A click on any image is enough to open an external link to the best offer we could find. Finally, we want to present you our rating criteria for our digital tv converter comparison, so you can better understand and comprehend our recommendations and the rating process itself. 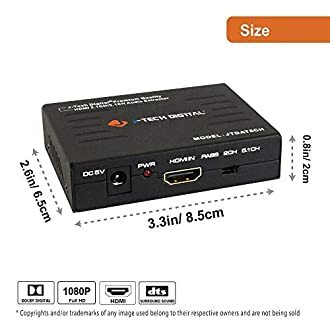 Furthermore, we still ask you to keep your eyes open for short term deals in order to make some great bargains with digital tv converter in 2019. Published by G. Krambs on StrawPoll.com (last update on 2019-04-23 08:18:08). 8 of 13 readers found this article helpful.